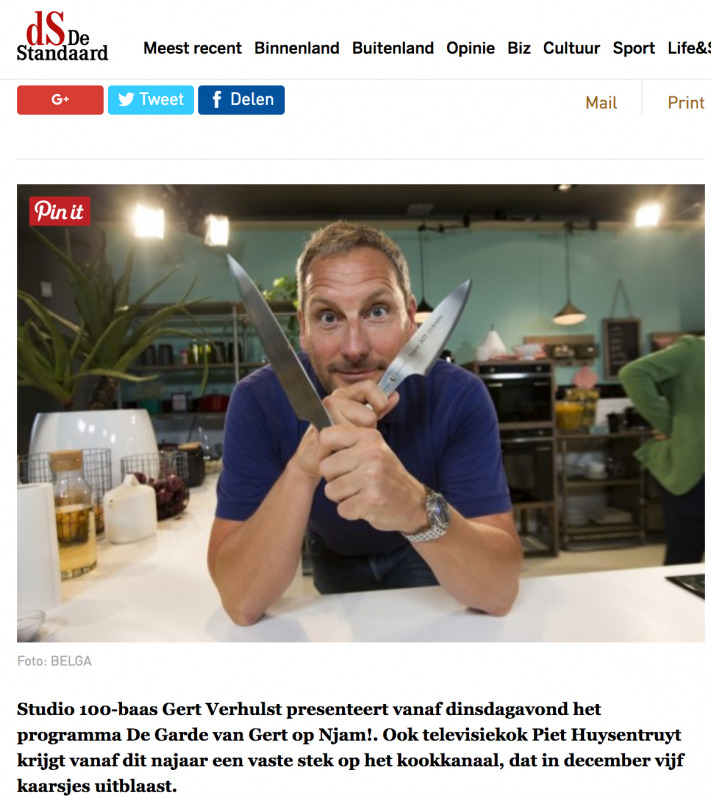 The Dutch consumer organisation Consumentenbond (500.000 members) did a knife test for 20 cm (8 inch) chef's knives. CHROMAs type 301 was the sharpest knife in the test. 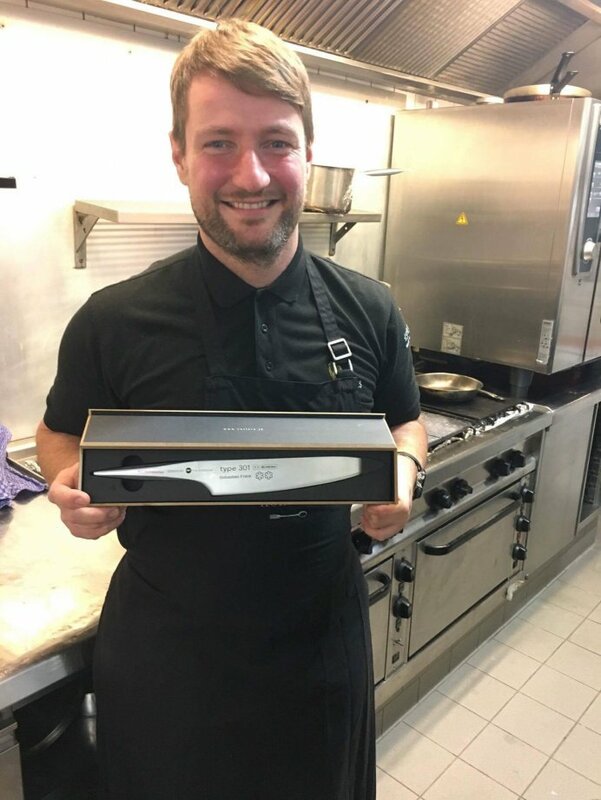 In the final results Chroma archieved the second place behind the expensive Miyabi knife. What makes a chef's knife good? 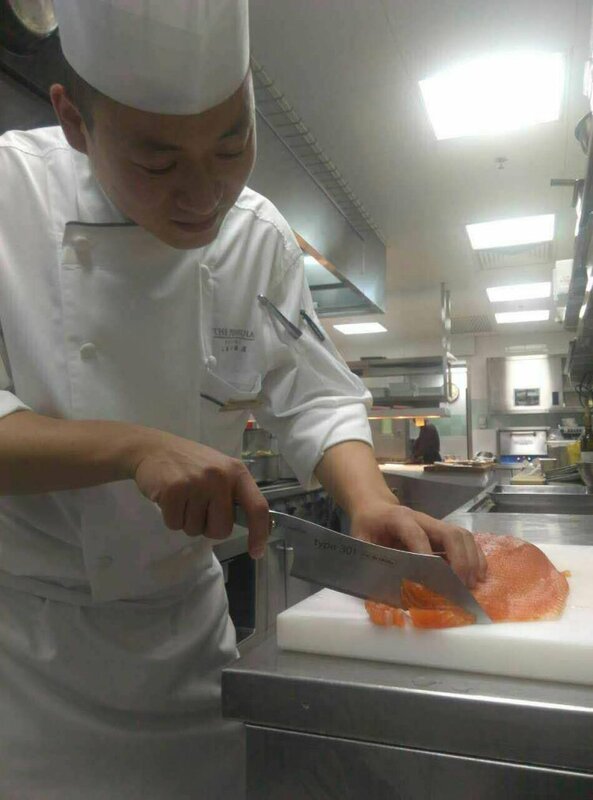 It will not surprise anyone: A chef's knife is especially sharp. 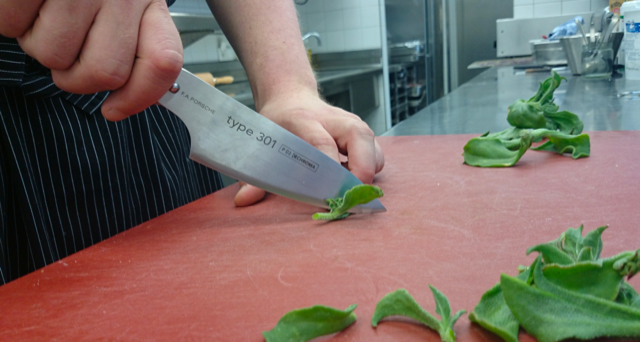 Cutting with a sharp knife is quicker and easier and costs less power. The simple home test for sharpness is to cut a sheet of paper through. A really sharp knife 'glides' straight through it. In our test we also use paper, but then a pile, where the blades have to cut as deep as possible. The deeper they cut, the sharper the knives. In the video above you can see how that works. Even the sharpest knife will eventually become blunt. But not every knife equally fast. We passed the test with the papers 60 more times to see how much paper they could cut completely, a measure of how sharp the blades remain." 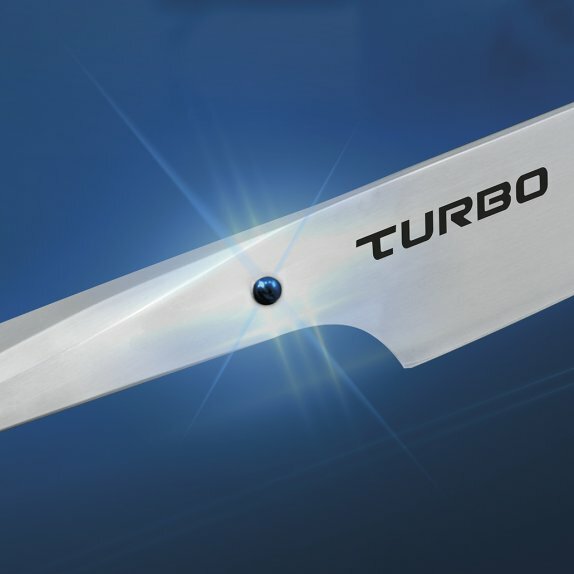 CHROMAs type 301 was behind the ceramic knife and the Miyabi 3rd (8,6 out of 10 points) keeping the blade sharp. Famous brands like Global (7,2) or KAI (6,4) were not keeping the sharpness well. Cheapo IKEA and Henckels Four Star only got 6 out of the 10 points. Also the test proofed another myth wrong: High carbon knives are extrmely sharp and keep the sharpness longer. They only rust quickly, Consumentbond found out. 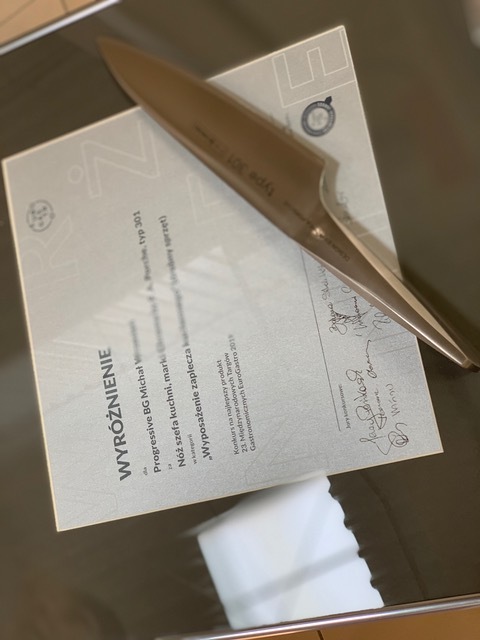 Robert Herders 1922 signature knife for over 200 US$ got just 5,3 points for keeping the sharpness and as the IKEA knife 7,4 for the sharpness itself. 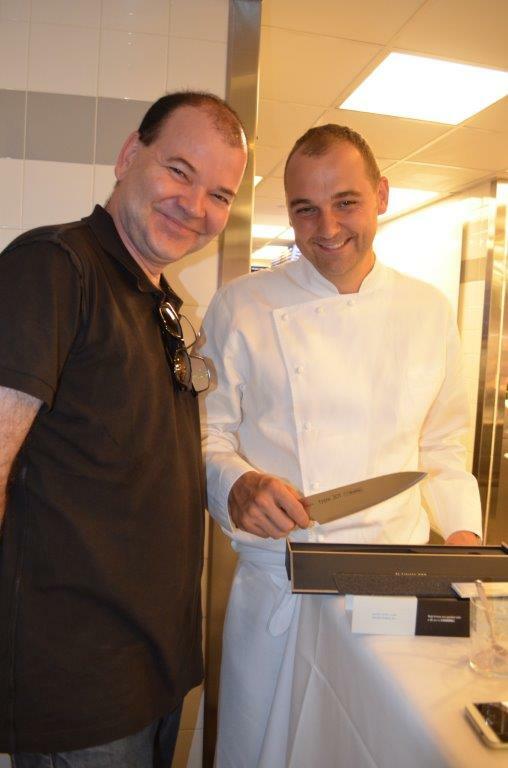 CHROMA's Jakob Siegeris (left) talking with his customer Joachim Wissler - the three Star Chef, 50best of the world, and now National hero. 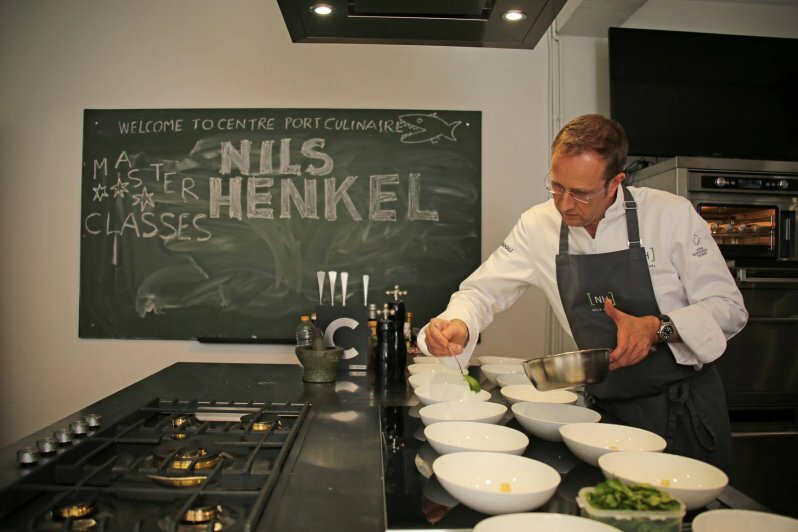 The most important Michelin star Chef meeting in Germany is the "CHEF-SACHE" in Duesseldorf. 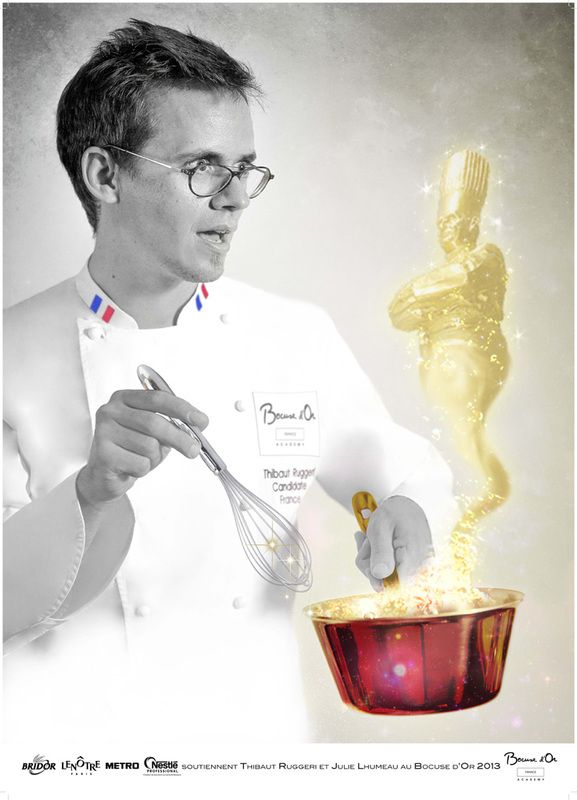 Chefs vote the best chefs. The winner is the "National Hero." 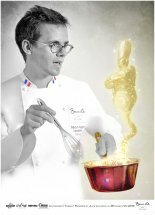 The winner this year is Joachim Wissler (3 star Michelin) from Restaurant Vendome near Cologne. 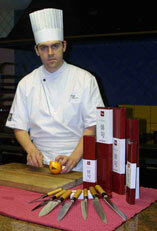 On the photo Chef Joachim with German CHROMA importer Jakob Siegeris. 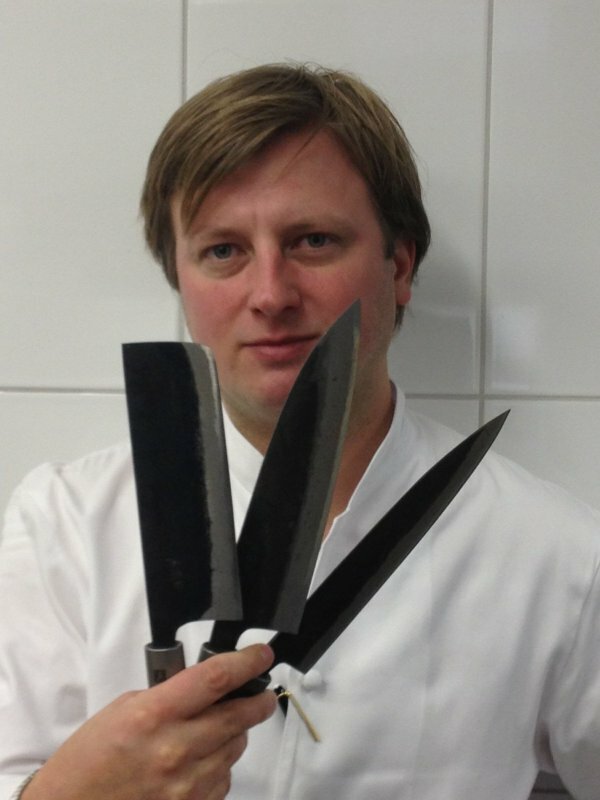 Wissler works with the knife dream "Dorimu" by CHROMA. 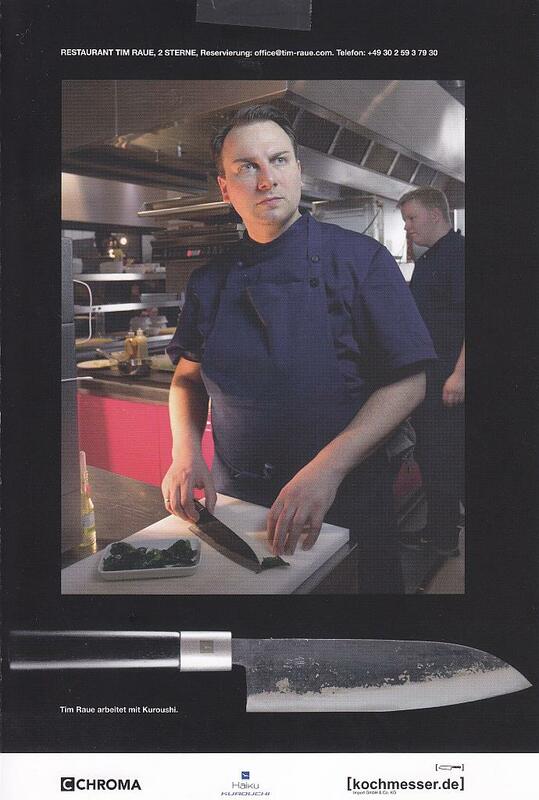 Most of the best chefs in Germany work with CHROMA. In claiming the No.1 position on The World’s 50 Best Restaurants list, Eleven Madison Park earns the dual titles of The World’sBest Restaurant and The Best Restaurant in North America. After debuting on the list at No.50 in 2010, Eleven Madison Park has hovered within the top 10 since 2012, rising to No.3 last year. The restaurant’s co-owners, Will Guidara and Swiss-born chef Daniel Humm, enhance the fine-dining experience with a sense of fun, blurring the line between the kitchen and the dining room. Housed in an art deco building overlooking New York’s Madison Park, the restaurant’s multi-course seasonal tasting menu celebrates the city’s rich history and culinary traditions. 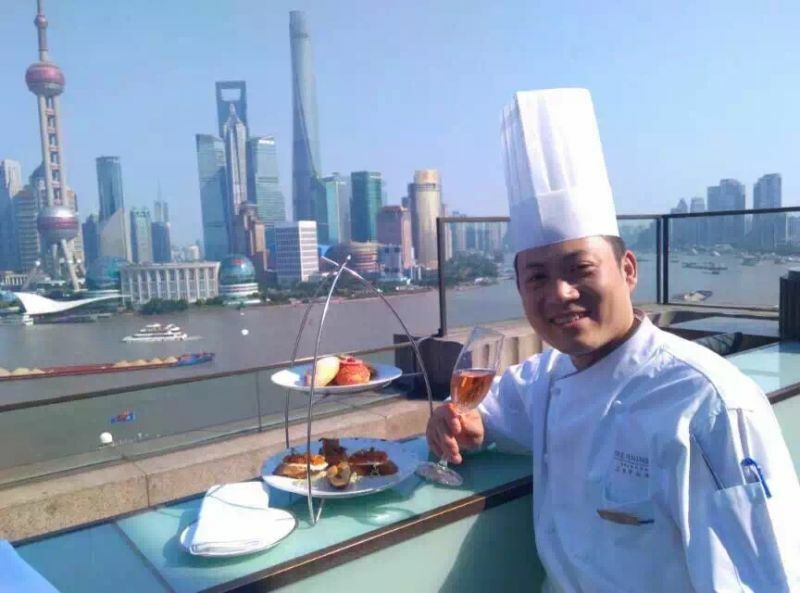 Peter Lin is the Senior Sous Chef at Sir Elly's, The Peninsula Shanghai. 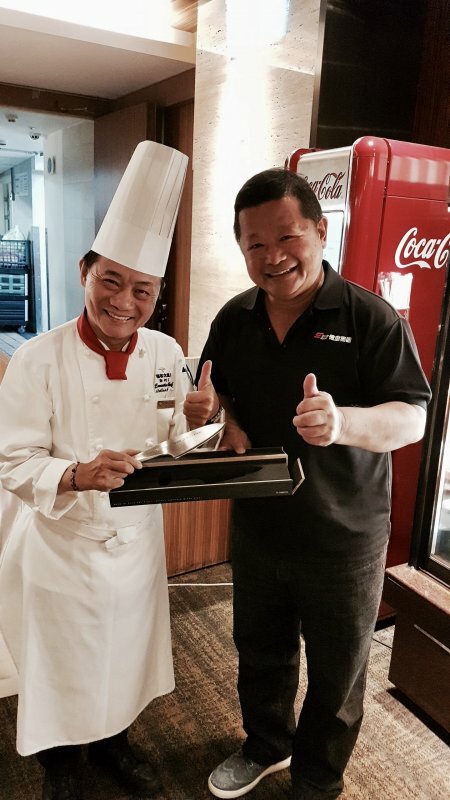 Sir Elly's was awarded their first Michelin star in Ocober 2016! 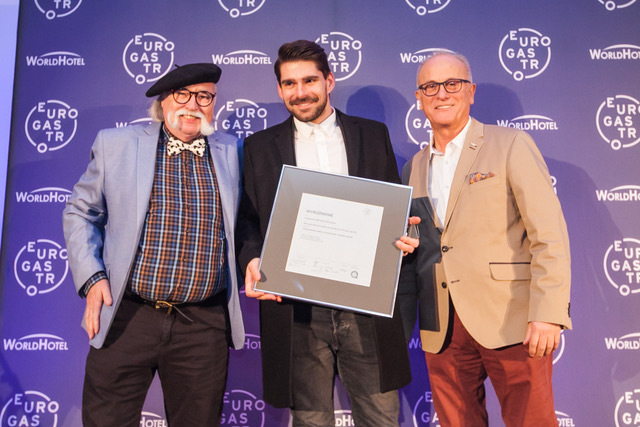 Markus Semmler, Owner-Chef of Das Restaurant in Berlin Wilmersdorf (Germany) - close to famous Kurfuerstendamm - was awarded BERLIN MASTERCHEF 2016 by the City of Berlin Authorities. Happyness in Berlin Germany. For the first time British "Restaurant Magazine" awarded Germanys capital with the "Best German Restaurant". 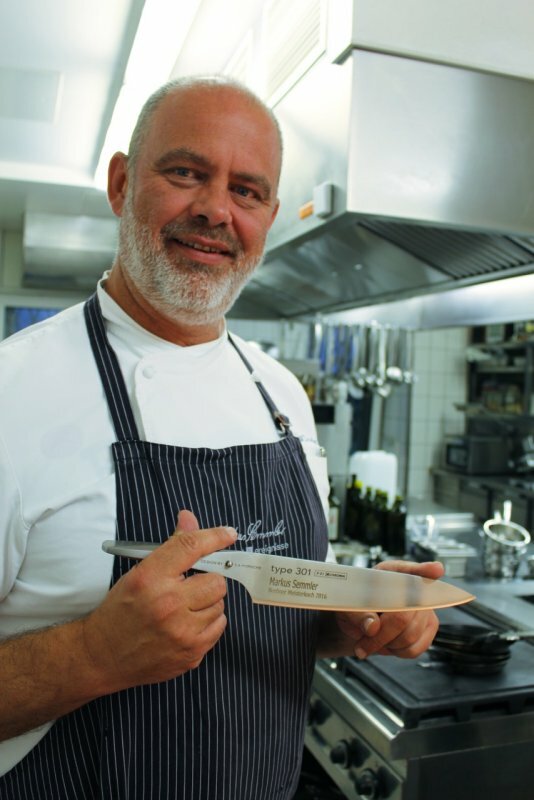 The winner is "Restaurant Tim Raue". Tim Raue works with CHROMA HAIKU Kurouchi. Every year British "Restaurant Magazine" let 972 experts from 27 areas vote for the best restaurants. This year, 2016, the award ceremony took place in NYC. 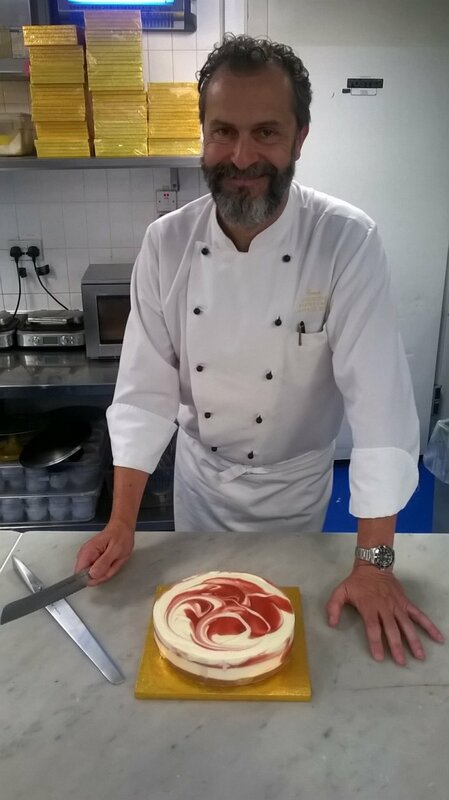 For the first time it was an Italian Restaurant: The Osteria Francescana in Modena. 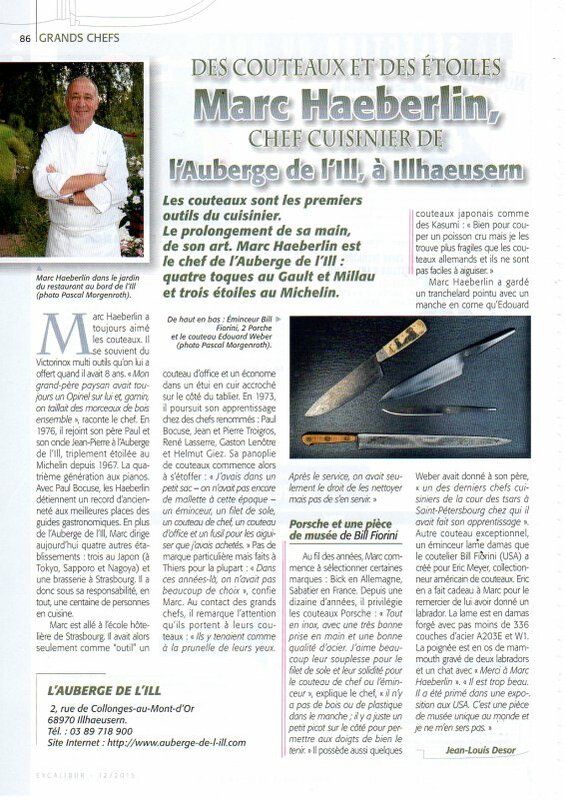 On the photo the owner-chef Massimo Bottura and his souschef Yoji Tokuyoshi, both holding type 301 cnives in their hands. 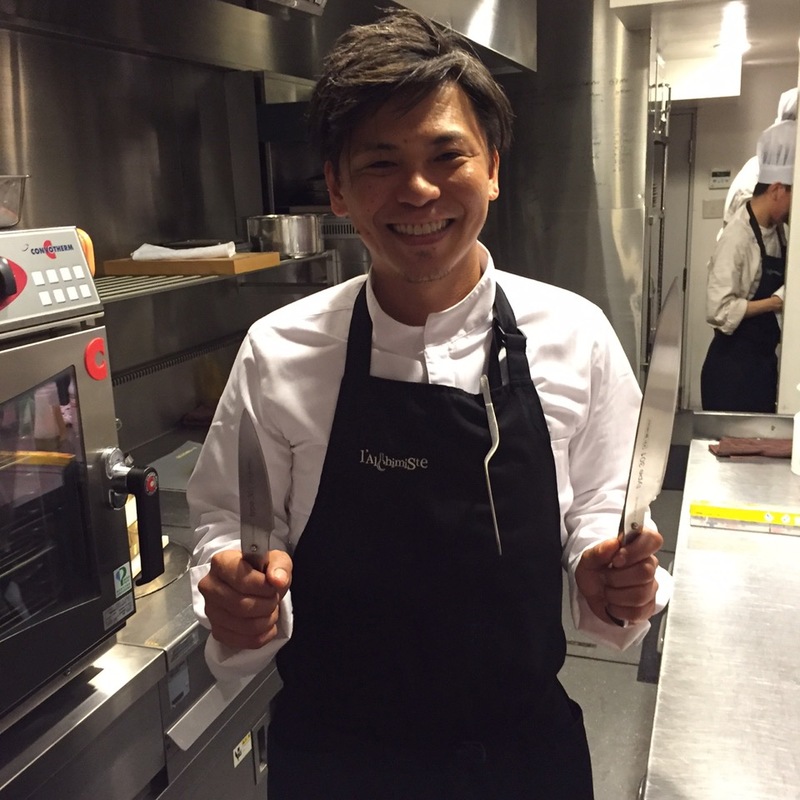 Yoji has now his own remarkable restaurant in Milan. The New York Times of Berlin, "DER TAGESPIEGEL" writes about our German Importer Christian Romanowski, who now became Business Development Director for CHROMA. 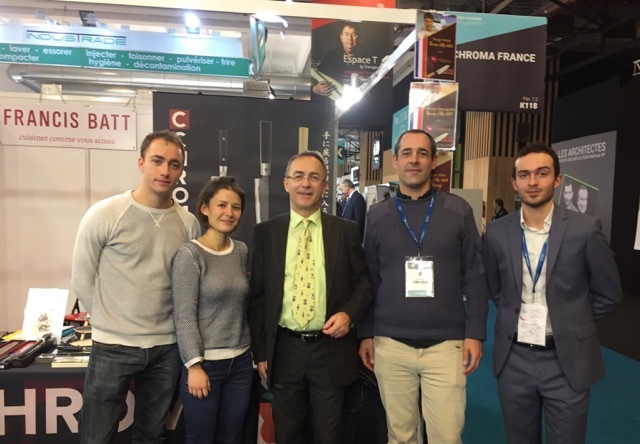 Romanowski resigned Managing Director of kochmesser.de, the German Importer of CHROMA Cnives. DER Tagesspiegel writes, "Romanowski was the man who brought a before unknown sharpness to Germany. 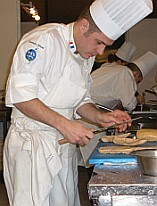 Chefs love him and with his resignation an era finishes in Germany." A big surprise in Germany: Guide Michelin awarded Kevin Fehlings Restaurant THE TABLE in Hamburg three stars just three months after opening the restaurant. The recipe how to earn a Michelin star lays on the hand!